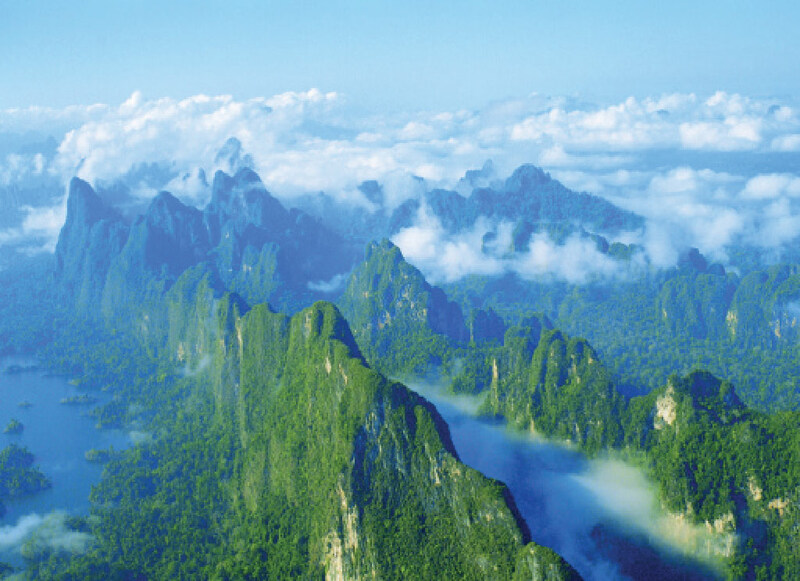 On December 22nd in 1982 the Khao Sok National Park was announced as Thailand’s 22nd National Park. This forestland covers an area of about 739km2, including the marvelous artificial Cheow Lan Lake. Together with the bordering Nationals Parks Sri Phang Nga (246km2), Khlong Phanom (410km2) and Kaeng Krung (541 km2) along with the wildlife sanctuaries of Khlong Saeng (1156km2) and Khlong Naka (480km2), Khao Sok is part of the largest stretch of protected Rainforest in Southern Thailand. The unspoiled nature of the National Park is home to a wide variety of animals. Especially endangered animals such as wild Asian elephants, Malayan sun bears, clouded leopards, or also apes like the white-handed gibbon can still be found here. Furthermore, 311 species of birds were counted so far, 28 different species of bats – and of course Khao Sok is home to an enormous number of insects and reptiles. Due to an eventful history most parts of the National Park are literally untouched. Sadly in 1944 a deadly epidemic killed many local inhabitants and led to the nickname “Ban Sop”, which means “Village of the Dead”. The entire area of Khao Sok was avoided for decades and only became a hidden domicile for rebellious Thai students in 1970. 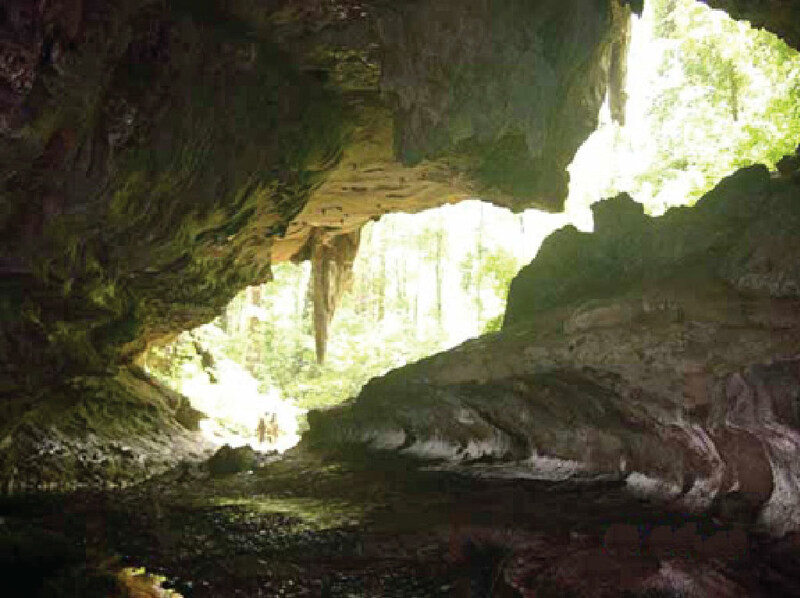 Some of the countless caves up in the Limestone Mountains, with a difficult terrain to access, became the ideal spot of retreat for the communists and activists to hide away from the government. Only in the 1980s tourism started to discover this stretch of land, making this one to one of the most breathtakingly secret spots of Thailand. The evergreen trees of Khao Sok National Park belong to one of the oldest rainforests around the world, way older than the Amazonas. A lot of people have no idea about its gripping history and how it got declared to a National Park when they first enter into the world of this fascinating and beautiful area. Most of the dramatic historical key events are known to humankind, but in the depth of the rainforest – its trees, hills, canyons, and caves – still remain concealed myths and tales we might never get to know. Long before Thailand took on the shape of the country it is today, there used to be a hoary landmass called Shan-Thai. Constantly sediments were washed down from here, amassing a delta system at the edge of the deep blue ocean basin. Periodically erosions swept down the instable deposits into the ocean, and little by little the sea became shallower and warmer – optimal conditions for corals and other organisms to thrive in the most beautiful and multifarious way. During this period of time a lot of changes took place in this area, and the probably biggest coral reef of all time was formed. Reaching from southern China all the way down to Borneo, researchers assume that it was five times bigger than the Great Barrier Reef in Australia is today. Nowadays the extension of the former reef can be reflected when exploring regions like Halong Bay in Vietnam, the Guilin in China and several parts in Southern Thailand. When having a look at the topography of those areas, you will recognize that they share the same historical background and once have been under water as part of this gigantic coral reef. By means of different geologic processes different stone layers sediment for centuries and buried the marine eco system. 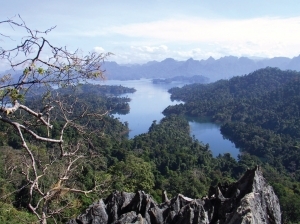 The last ice age hardly affected Khao Sok, its forests and the neighboring forest areas, due to the fact that temperatures and humidity remained roughly the same. However, the rising and falling sea level caused by melted ice and snow altered the landscape, resulting in a hilly landmass and numerous beautiful rivers which stream through the valleys. The collision of the Indian and Eurasian plates caused an enormous tectonic movement. The rocks were uplifted and folded and started to slightly form the stunning and unique Limestone Mountains which can be seen in Khao Sok today. The same historic event also created the gigantic Himalayan Mountain chain, approximately 2000 kilometers away from Thailand. 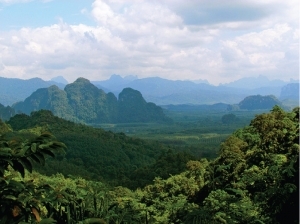 Despite extensive investigations, nobody can clearly state who first settled down in the forests and caves of Khao Sok National Park. It might be that humans already inhabited this region since the Stone Age, but still no evidence has been found to proof this. It is assumed that by the end of the last ice age, around 10.000 years ago, there might have been a land bridge extending from Thailand to Borneo, enabling migration. As the south western coast of Thailand was attacked by the Burmese, the population withdrew from the coastal area and searched for shelter deep in the jungle. At the end of their getaway they discovered untouched land which was full of wildlife, plants, rain and fertile soil. Good news travel fast – and finally more locals arrived and settled down in the promising but also unknown terrain. The population bloomed until a horrible epidemic killed all but a few inhabitants. The survivors moved on from this place and left the village abandoned and eerie. Some stories tell that this village was called “Ban Sop” afterwards, meaning “Village of the Dead” and got renamed into “Khao Sop” later on. Another story claims the name actually derived already before the disease, due to an unusually shaped mountain near the village called “Khao Sop” meaning “Corpse Mountain”. It is not really clear which was first – the name or the unlucky epidemic incident. Nonetheless, the name wasn’t really inviting for other people to return, so it was renamed into “Khao Sok”. In 1961, a route was cut into the rainforest to construct highway 401, the only East-West connection, connecting the Andaman coast with the Gulf coast. On the one hand this street enabled new possibilities for industry, settlement and plantation. Unfortunately, not only the construction was interference into the nature, but also modern hunting weapons, mining and logging machines had a harmful impact on the balanced nature and wildlife. This time was known for its political conflicts and the Thai military government was pretty rough. A group of communist students protested against the military which resulted in a series of tragic events no-one likes to remember. On October 6th, 1976, around 41 students were killed during a horrible bloody massacre at “Thammasat University” in Bangkok. “Hard to remember, yet difficult to forget”, boasted the national newspaper “The Nation” thirty years later. Only 3 years prior an even worse event took place, in which far more protestors were killed on October 14th, 1973. It was during that second military coup when 170 students escaped into the deepest untouched forest of Thailand to save their lives. 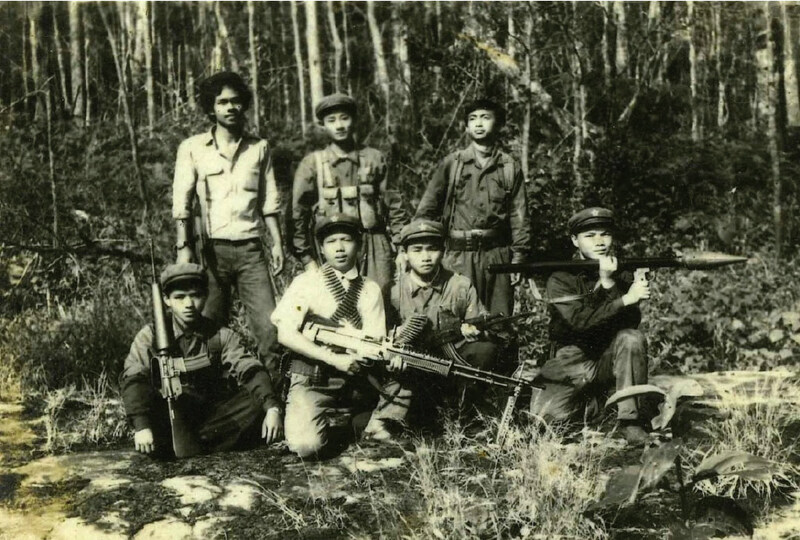 Likewise they had joined the communist insurgency groups and were hunted by Thai military forces. Setting up a base in Khao Sok, they kept away everyone who was not welcomed in their territory. Hidden explosive PVC pipes surrounded their stronghold. Furthermore, the area was as well observed by armed students. 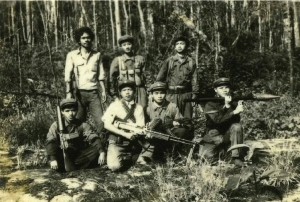 During their seven year occupation between 1975 und 1982, they not only kept the Thai Army at bay, but also the loggers, hunters and miners. It would have been suicidal to enter this combat zone, so no one would have dared to enter it. Fortunately, within the entire period of violent unrest in the forest, only one student got killed from a military group while he was fulfilling his patrolling duties. In 1982, the government finally changed and the students started to find their way out of the rainforest and many returned back home. Apparently, the last “communist” left Khao Sok in 1989. Research from the government confirmed, that Khao Sok is the largest watershed in southern Thailand. 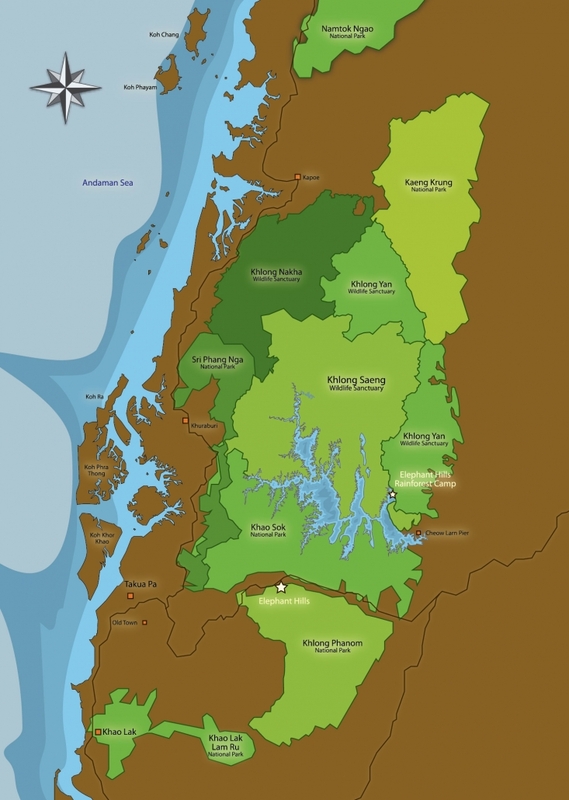 According to this, both the EGAT (Electricity Generating Authority of Thailand) and the National Park Division were pretty much interested in the area of Khao Sok. Further research performed by the National Park Division resulted in the founding of a rich biodiversity, including many endangered and rare animal species and plants, which should definitely be protected. Characterized by its unique landscape with the spectacular karst limestone formations, craggy cliffs, mystical caves and fascinating waterfalls, it was a must to preserve this area. 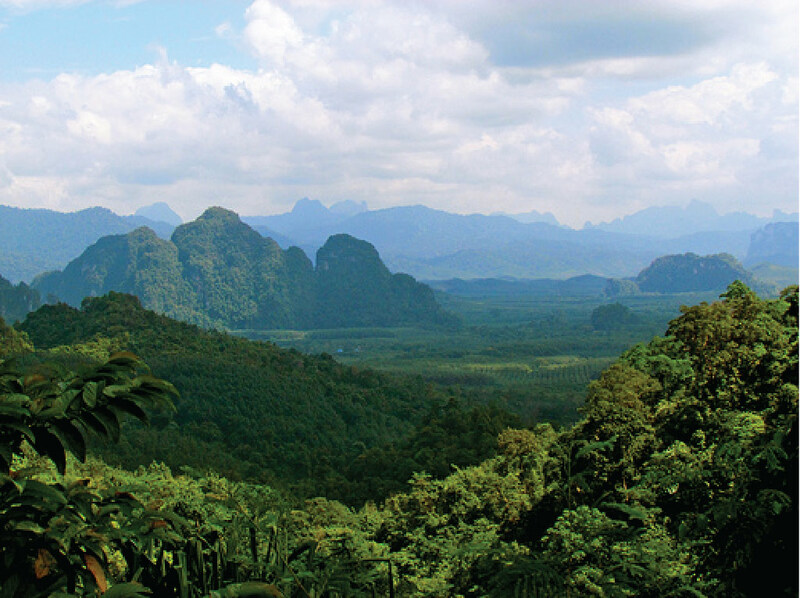 On December 22nd 1980, Khao Sok was officially declared as the 22nd National Park of Thailand, with a covered area of 645.52 km2 at this time. All mining and logging had been stopped. The National Park has evolved to a popular tourist destination and now covers an area of 739 km2 including the lake. Gradually the wildlife recovered and the hydro-electric power provides sustainable electricity for large parts of Southern Thailand. 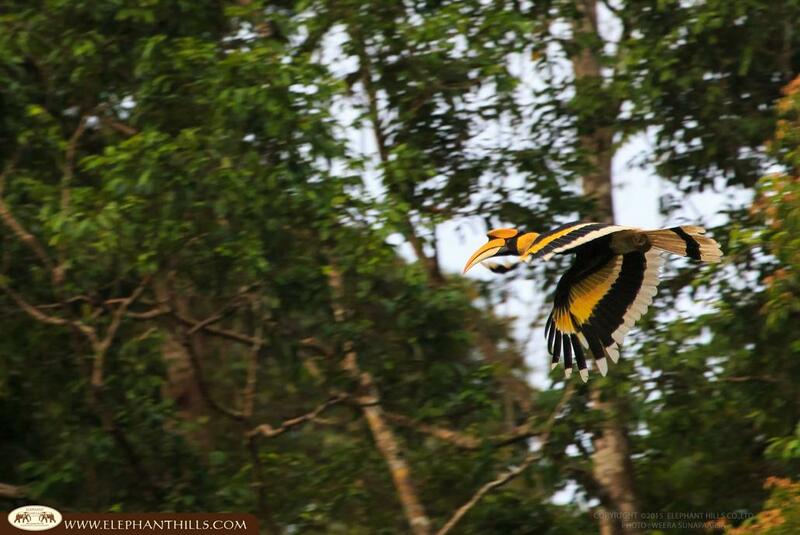 Now it is up to us how we shape our future and how the history of Khao Sok will continue… Most importantly, we have to make wise decisions to protect and save our nature and all habitants being involved.